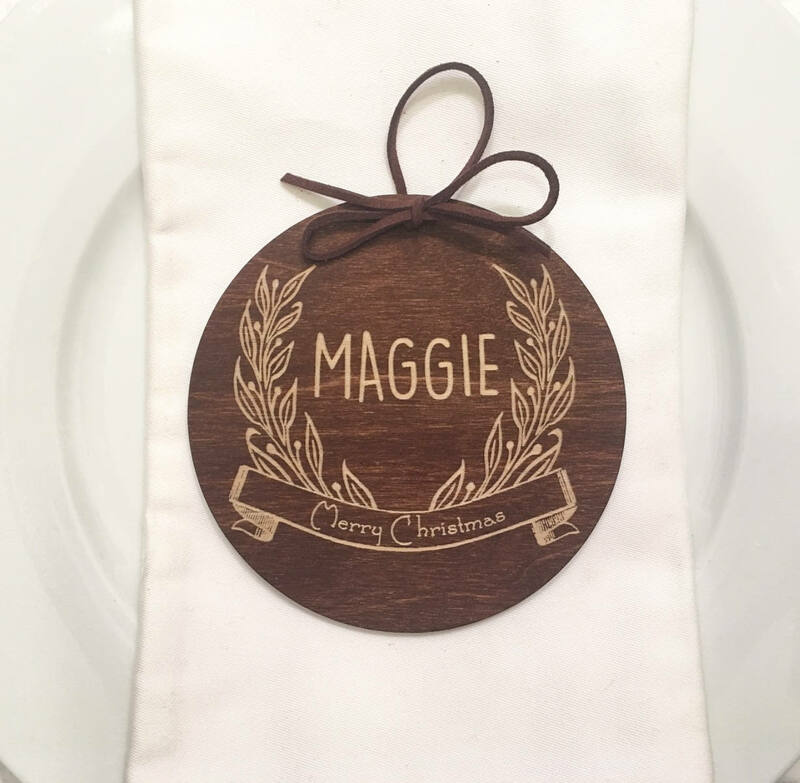 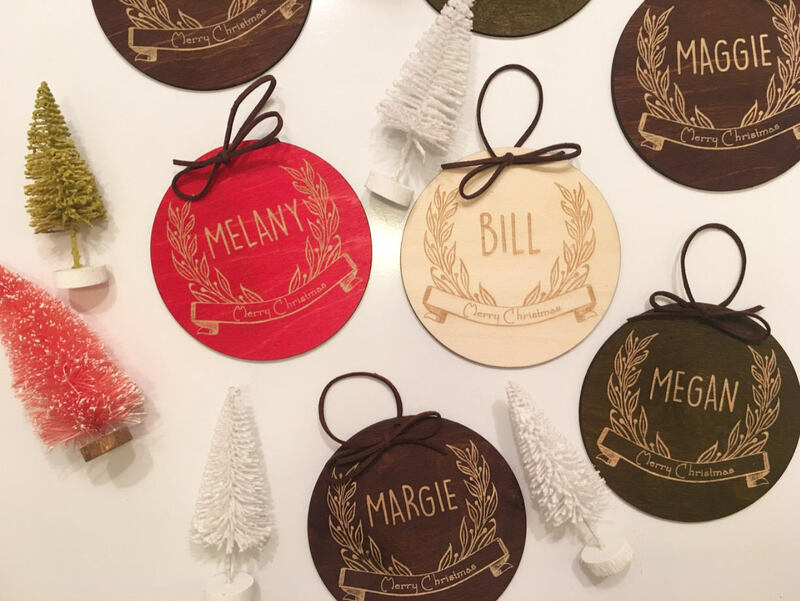 These large laser engraved and cut birch wood, place card ornaments make the prettiest place cards for dinner parties and events. 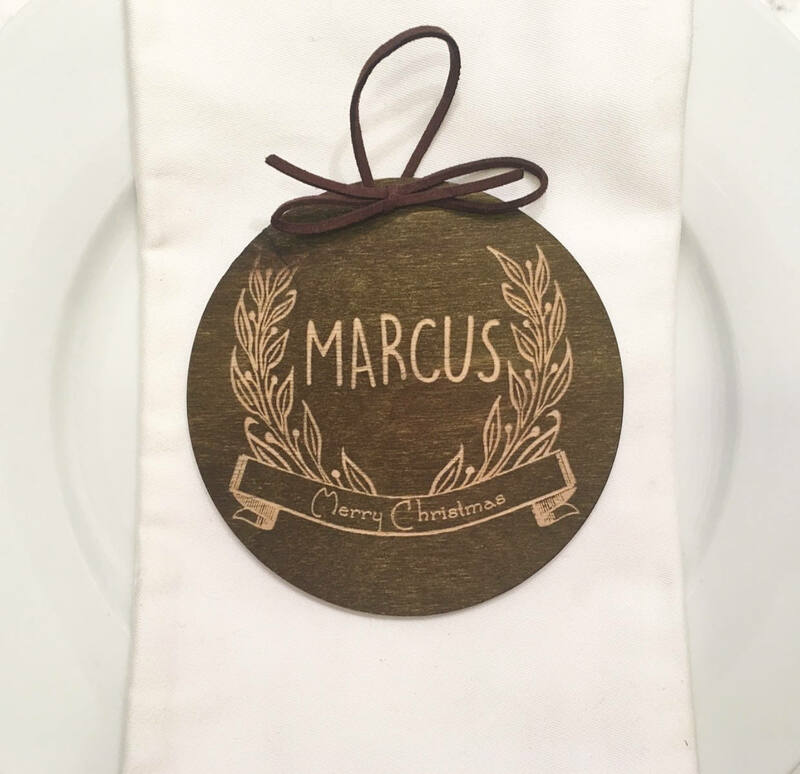 They also with brown faux suede string, so when your guest brings their favor home they are ready to hang! 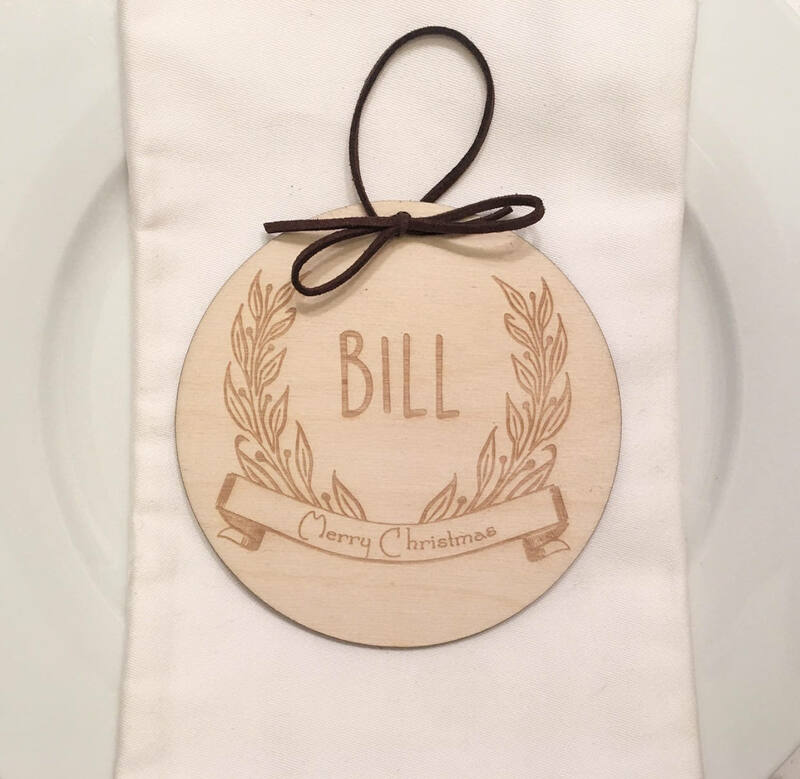 2) In notes at checkout indicate the names for each place card ornament. 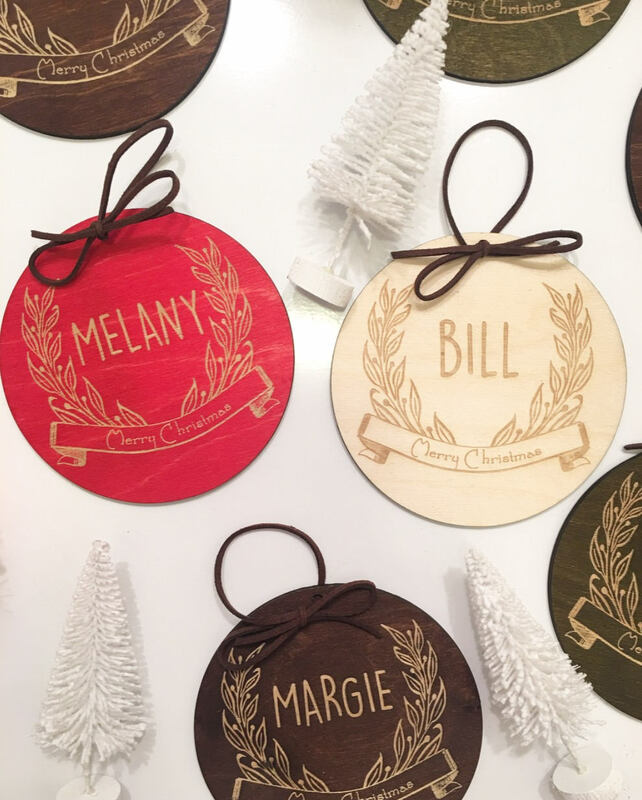 If you want different stain colors, in notes at checkout indicate the stain color next to each name. 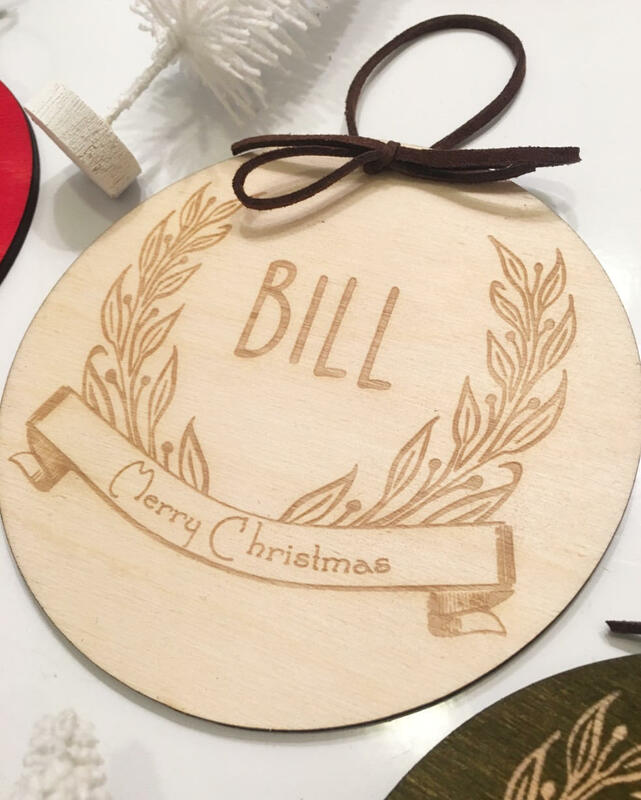 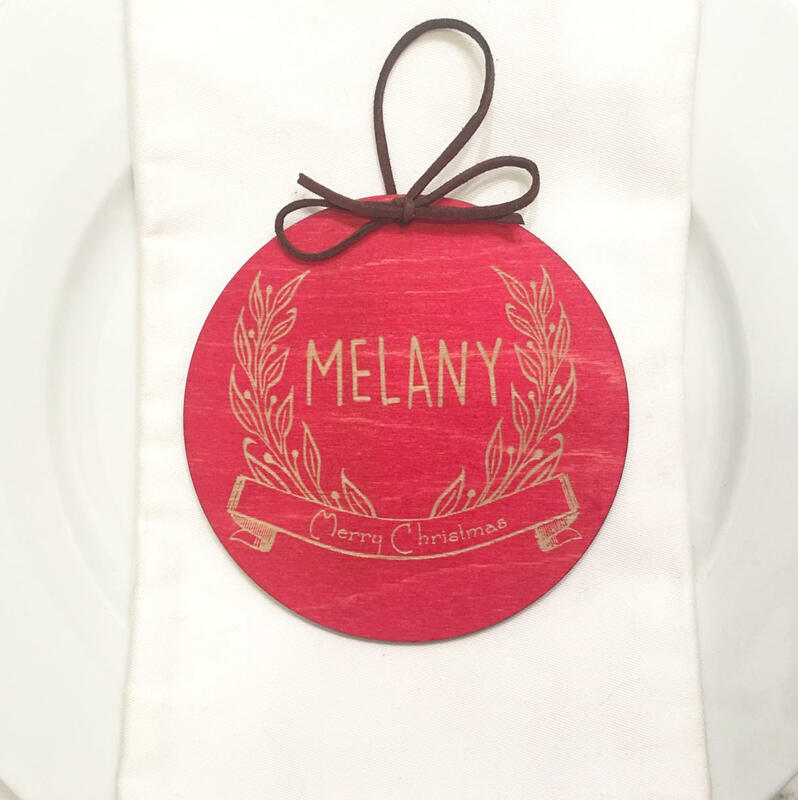 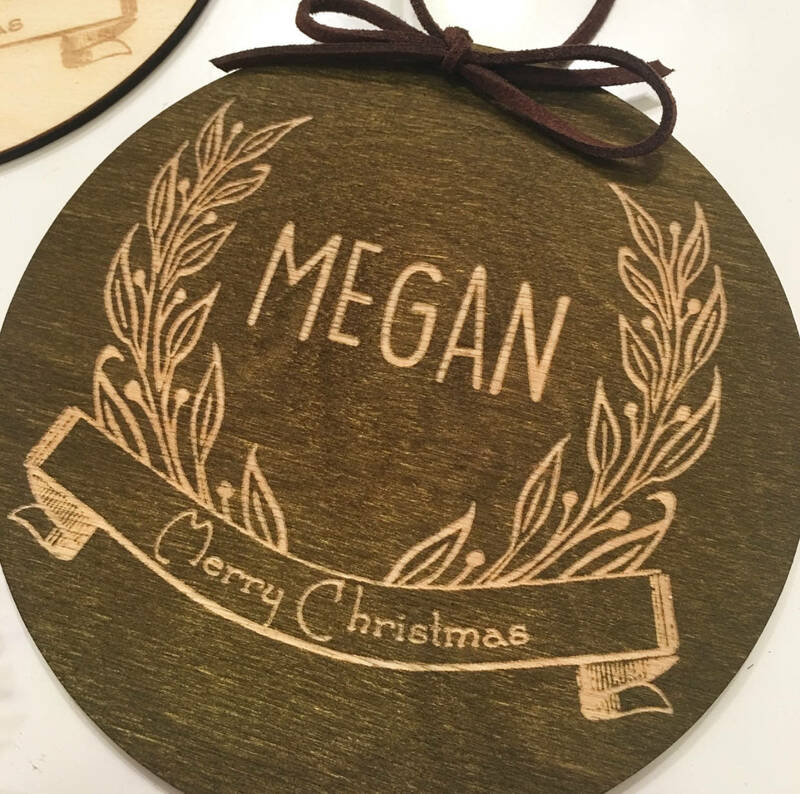 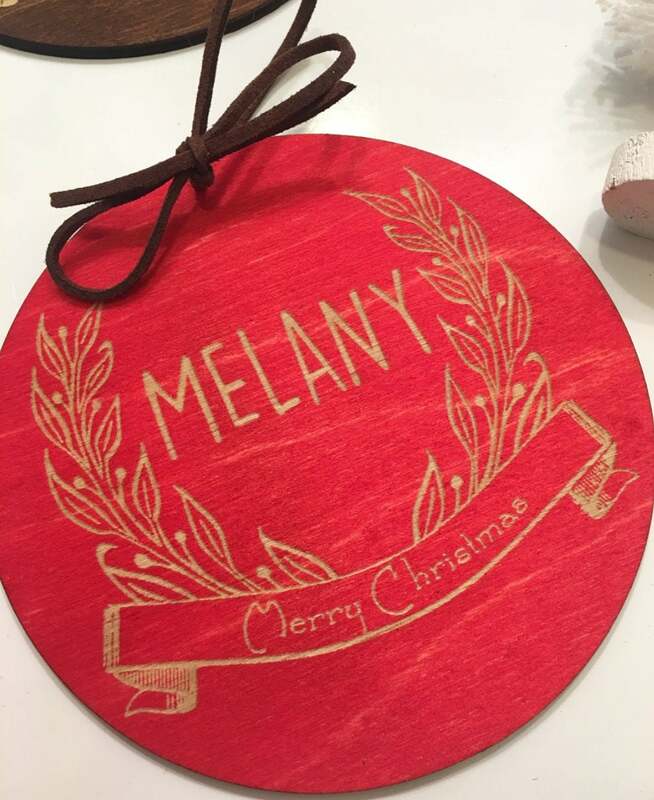 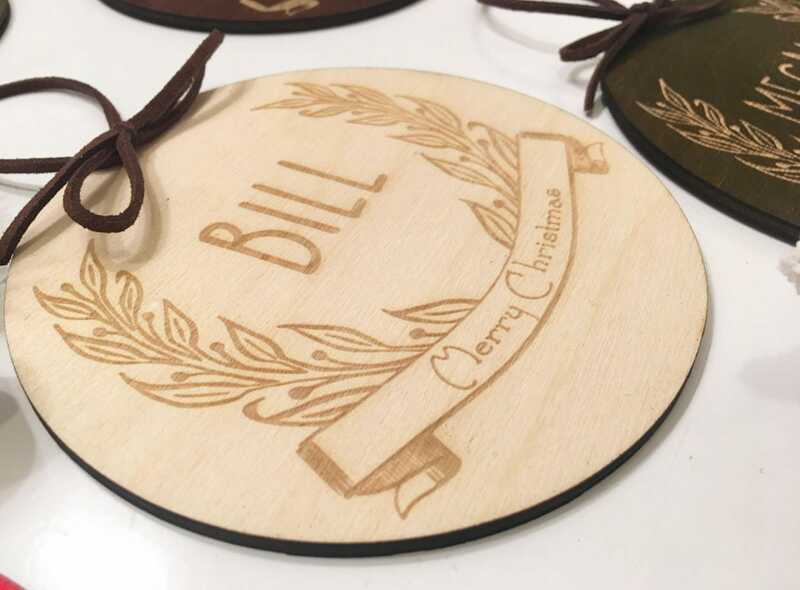 Your place card ornaments will be laser engraved exactly as pictured replaced with your custom names and stain choices.